Whatever you want, whenever you want it. With over 6,000 restaurants, and hundreds of deals each month, ordering food in Singapore you love has never been better. 50% off selected restaurants for April 2019! T&C: Valid on orders of $15 or more and capped at $20. Valid for the first 5000 redemptions with a maximum of 1 redemption per user per promo code. Guzman Y Gomez with the voucher code GYG50 valid from 1 Apr 2019 to 30 Apr 2019. PS Cafe with the voucher code PSCAFE50 valid from 1 Apr 2019 to 30 Apr 2019. Cedele with the voucher code CEDELE50 valid from 1 Apr 2019 to 30 Apr 2019. White Restaurant with the voucher code WHITE50 valid from 1 Apr 2019 to 30 Apr 2019. Long John Silver's with the voucher code LJS50 valid from 1 Apr 2019 to 30 Apr 2019. Wing Zone, Wing Zone Mandai and Wing Zone Woodlands Kitchen with the voucher code WINGZONE50 valid from 1 Apr 2019 to 30 Apr 2019. TCC The Connoisseur Concerto with the voucher code TCC50 valid from 1 Apr 2019 to 30 Apr 2019. Popeyes with the voucher code POPEYES50 valid from 5 Apr 2019 to 30 Apr 2019. Toast Box with the voucher code TOASTBOX50 valid from 5 Apr 2019 to 30 Apr 2019. Starbucks with the voucher code STARBUCKS50 valid from 8 Apr 2019 to 30 Apr 2019. MOS Burger with the voucher code MOSBURGER50 valid from 15 Apr 2019 to 30 Apr 2019. Swensens with the voucher code SWENSENS50 valid from 1 Apr 2019 to 30 Apr 2019. Monster Curry with the voucher code MONSTERCURRY50 valid from 1 Apr 2019 to 30 Apr 2019. Arnold's Fried Chicken with the voucher code ARNOLDS50 valid from 1 Apr 2019 to 30 Apr 2019. Super Loco with the voucher code SUPERLOCO50 valid from 1 Apr 2019 to 30 Apr 2019. Lucha Loco with the voucher code LUCHALOCO50 valid from 1 Apr 2019 to 30 Apr 2019. Loloku with the voucher code LOLOKU50 valid from 1 Apr 2019 to 30 Apr 2019. YOLO with the voucher code YOLO50 valid from 1 Apr 2019 to 30 Apr 2019. Seoul Yummy with the voucher code SEOULYUMMY50 valid from 1 Apr 2019 to 30 Apr 2019. Tim Ho Wan with the voucher code TIMHOWAN50 valid from 1 Apr 2019 to 30 Apr 2019. Gelare with the voucher code GELARE50 valid from 8 Apr 2019 to 30 Apr 2019. Manhattan Fish Market with the voucher code MFM50 valid from 15 Apr 2019 to 30 Apr 2019. Simply Wrapps with the voucher code SIMPLYWRAPPS50 valid from 3 Apr 2019 to 30 Apr 2019. Thye Guan Fragrant Hot Pot with the voucher code THYEGUAN50 valid from 3 Apr 2019 to 30 Apr 2019. 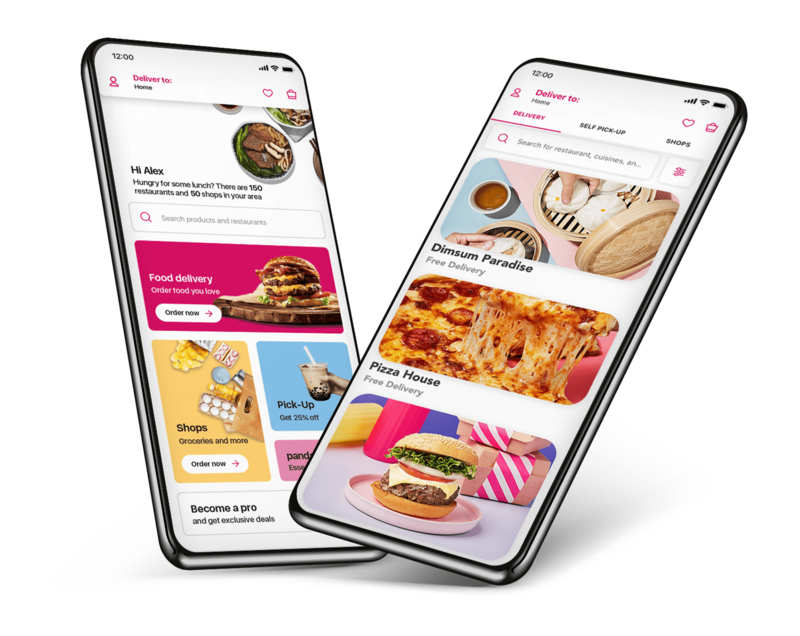 TigerNow with the voucher code TIGERNOW50 valid from 2 Apr 2019 to 30 Apr 2019. 89.7 Supper Club with the voucher code SUPPERCLUB50 valid from 4 Apr 2019 to 30 Apr 2019. Xi Men Jie with the voucher code XIMENJIE50 valid from 4 Apr 2019 to 30 Apr 2019. Bonchon with the voucher code BONCHON50 valid from 4 Apr 2019 to 30 Apr 2019. Carl's Jr with the voucher code CARLSJR50 valid from 9 Apr 2019 to 30 Apr 2019. Sushi Tei with the voucher code SUSHITEI50 valid from 18 Apr 2019 to 30 Apr 2019.
e.g: UOB15APR123456 Valid from Monday to Friday, till 30 June 2019.
e.g: UOB10APR123456 Valid every Saturday and Sunday till 30 June 2019.
e.g: CITI19APR123456 Valid till 31 May 2019.